Right now, my sixth grade students are working through a unit on ecology. Our first topic is “Interactions in Ecosystems,” and we are looking at everything from the biotic/abiotic factors that are impacting each other to the various types of ecological relationships between organisms in ecosystems. S63.22 Define environment.S63.23 Explain characteristics of his/her environment.S63.1 Describe characteristics of living and non-living things.S63.2 Classify familiar objects as living or non-living.S63.3 State basic needs of living things. S63.29 Construct food chains/food webs illustrating energy flow in an ecosystem. S63.30 Define and correctly use the terms: producers, consumers, decomposers. S63.31 Describe ways in which populations of plants and animals in a community interact with one another and their environment. S63.24 Give examples of changes in environments. 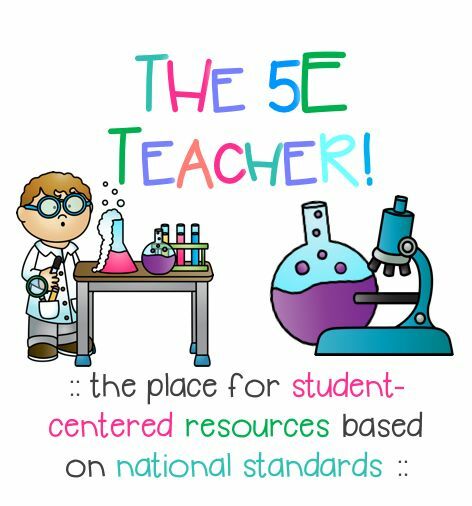 Additionally, I have been trying to incorporate into my curriculum the Next Generation Science Standards. The activities in this mini-unit begin to address NGSS MS-LS2 Ecosystems: Interactions, Energy, and Dynamics. According to NGSS, “Students who demonstrate understanding can analyze and interpret data to provide evidence for the effects of resource availability on organisms and populations of organisms in an ecosystem. MS-LS2-1” Similarly, this unit’s focus on interactions in an ecosystem, such as competitive, predatory, and mutually beneficial, aligns with MS-LS2-2, “Students who demonstrate understanding can construct an explanation that predicts patterns of interactions among organisms across multiple ecosystems.” Finally, the MS-LS2-3 standard that addresses the flow of energy in ecosystems is considered in this unit. I begin each class period with a “Warm Up” or “Bellringer.” Sometimes my Warm Ups review information from the last class, while at other times they preview the information to come. I also use these questions to assess prior knowledge. The first Warm Up for this unit asked: What do you need to survive? Huh, I don’t see a cell phone anywhere on there. Water, shelter, air, and food – those are our basic needs. We tied these needs to the idea of a habitat, or where an organism lives. A habitat must provide these basic needs if we are to live there. Branching off from this, we started discussing different types of habitats, and then took a closer look at a few. Each group received a picture, like the ones below, and were asked to make a list of all aspects of the represented environment that interact in the image. After students shared some of the things they listed, I asked them to sort their lists into living and nonliving things. We then discussed the terms “biotic” and “abiotic” by first discussing the words “symmetrical” and “asymmetrical.” Students easily put together that “a” in front of the word indicates it is NOT something, and with that knowledge, they were able to make the connection between biotic and abiotic. I followed up this discussion with a similar activity, in which students listed the biotic and abiotic elements of a fish tank. For this activity, I gave them a drawing, although we also have a tropical aquarium in our classroom that they could use as a resource. After identifying biotic and abiotic factors, students made predictions about the consequences of various actions. 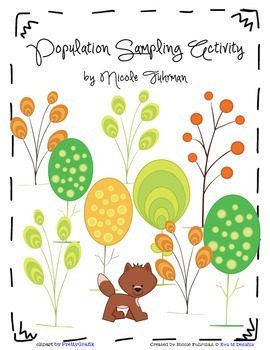 After this introduction to ecosystems and the elements within them, we moved on to the concept of populations and completed a hands-on population sampling activity to estimate population sizes. Students enjoyed this very much, and it was a great way to tie in math as well. You can download the papers for the activity at my TeachersPayTeachers store – just click on the image below! Also, you can download the entire plan, for FREE, right here: Mini Unit: Community Interactions!